NEARLY 45 YEARS AFTER THE EXORCIST scared the hell out of audiences when it was first released in 1973, director William Friedkin is returning to the subject of demonic possession with a new documentary called The Devil and Father Amorth. 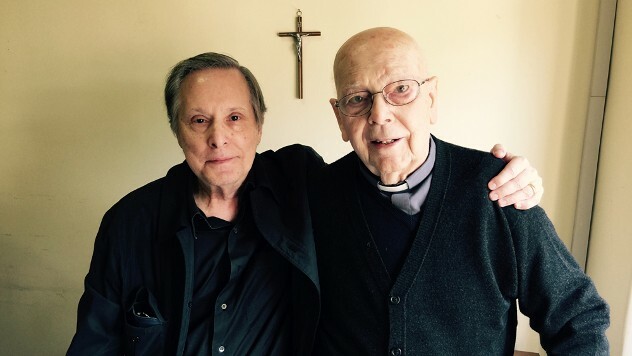 Friedkin has long maintained that the original film was based on an actual case, but the new documentary follows a real priest, Father Gabriele Amorth, as he performs an exorcism on a young woman in Italy in 2016. The documentary also compares the actual exorcism to the fictionalized one in the horror classic. On the Fourth of July, 2017, Friedkin told Moresby Press that he had just finished the documentary. The Devil and Father Amorth then premiered Aug. 31 at the Venice Film Festival. The film will be released in New York and Los Angeles on April 20, followed by a worldwide digital release. Unlike in the 1973 movie, where the possessed child is strapped to a bed like a chained monster, the woman in the documentary visits the exorcist as if seeing a psychiatrist for therapy sessions. Still, Friedkin was terrified by what he witnessed, he wrote in Vanity Fair magazine. The new film, Friedkin’s first since Killer Joe in 2012, marks not only a return to the subject matter of demonic possession and exorcism, but to his documentary roots. The director got his start in live television for WGN in Chicago—where he was born and raised—and launched his filmmaking career with the TV documentaries The People vs. Paul Crump (1962), about a man on death row for murder whose life was spared because of the film; and The Thin Blue Line (1966), about moral ambiguity in police work. Friedkin won the Academy Award for Best Director for his 1971 film The French Connection, in which he used what he called “an induced documentary” style of filmmaking that lent the true-crime thriller its powerful realism. "THRILLING ... KEPT ME GLUED TO THE PAGES"